Alcohol consumption can really make things bad for you. People turn to drinking whenever they feel that they should move away from reality and in a mesmerized state. However, when the wake up the next day, nothing is changed. In fact, alcohol consumption is more like an escape from the problems of this world. It does no good to you as all it does is make you weak. This habit has been described as one of the nastiest ones. There is no end to the individuals who destroyed their lives and careers due to this habit. Yes, one should prefer to intake alcohol once a week in small amounts. However, if you feel that you cannot resist drinking alcohol on a daily basis, here are some tips which will be helpful for you. 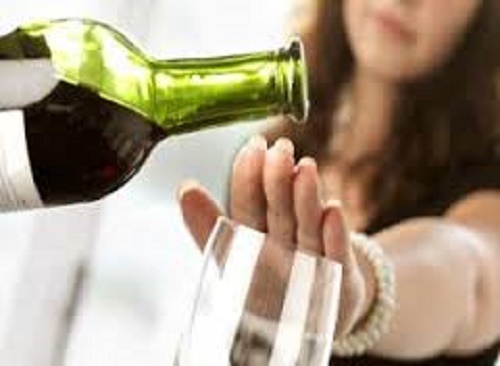 The first tip is to remove alcohol from your home. Whenever you are going to come home, you will be attracted to it. For this reason, the best way to start out is to remove it from your home. Always eat 3 times a day and never skip a meal. Doctors are of the view that skipping meals creates an urge for alcohol consumption. For this reason, it is recommended that you eat regularly and sufficiently in order to quit alcohol. You should always keep telling yourself about the negative effects of alcohol consumption and all the destruction and chaos it has brought into the lives of others. In a number of regions, alcohol consumption has become a fashion statements, even in Muslim countries which are famous for banning alcohol. What is the point in adopting a fashion which is only going to be heavy on your earnings. You should be committed to your resolve. It is best that you join a group or a forum designed for people who wish to quit alcohol. Trust me, being a part of this forums is indeed helpful. The next thing you will be required to do is to control the intake of sugar. The best thing to do is to limit sugar intake. It has been reported that large amounts of sugar consumption leads to an addiction to different forms of alcohol. Exercise should be a part of your daily routine. It is also going to aid in your resolve not to consume alcohol. All you will need to do is jog for 20 minutes or so on a daily basis. In no time you will be able to experience a change in your body which in turn will be another reason for you to stay away from alcohol. You should fear all the bad things that this habit of yours is going to bring to you and your family. After all, nothing is more important in the world than caring for your family. Always consume water as much as you can. It is the only thing in the world that can only do good not harm. It is an effective mechanism for keeping your body hydrated at all times. If you feel that you cannot quit it, there are always some low level alternatives. However, the problem remains the same i.e. they all have side effects. Yet again, you have no other choice than to leave this nasty habit. The most important thing you will need to endure is time. Quitting this habit is not going to be easy and is also going to demand a lot of time. So make sure that you remain committed to these tips and plans in order to become sober forever.